As a general rule, oral contacts in New Jersey are enforceable – not that they are recommended; indeed. Our attorneys, we always recommend that contracts be in writing because they are easier to prove and leave less room for misunderstandings. However, if you can prove the terms of an oral contract New Jersey courts will generally enforce it. A big exception applies to this, however, in the Statute of Frauds. Under the New Jersey Statute of Frauds, courts will refuse to enforce certain oral contracts even if you can prove them. This law is based on the premise that oral contracts are inherently less reliable, and writings in certain situations are necessary to prevent perjury or unfounded claims. The Statute of Frauds has its roots in the old Statute for the Prevention of Frauds and Perjuries which was adopted by the English Parliament in 1677, and was thus the law in England’s American Colonies when they became independent. The main elements of the Statute of Frauds are found in one section of New Jersey Statutes, but other elements are spread in different sections of Chapter 25 of Title 2A of New Jersey Statutes. A loan, grant or extension of credit for greater than $100,000 made by a person or entity which is in the business of lending. This provisions also applies to leases if the lease is the primary means of the lessee or borrower of obtaining financing. An agreement in which a creditor agrees not to exercise any contractual right or remedy when the amount involved is greater than $100,000. Contracts for transactions involving interests real property (the legal term for real estate). The term “interests in real estate” is quite broad, although not all-inclusive. For instance, mortgages, agreements for partition and easements are all considered interests in real estate that require written contracts. Real estate brokers’ commission agreements. This includes commissions on both the sale and lease of real estate. There are some exceptions to this, however, although they are quite formal and narrow, such as if the agent confirms the agreement in writing within five days, if the broker relies in good faith on the oral agreement, or if the broker entered into negotiations before the written contract was signed. The promise by one party to be responsible for the obligations of another. This requires both that the person assuming the obligation sign, and that the person with the alleged obligation actually did have an obligation. Leases with terms of greater than three years. While a written agreement containing specific information is required, courts will enforce such a lease even if some of the required terms, such as a description of the land, are missing. However, good practice would be to make sure all the necessary terms are included in writing. Prenuptial Agreements. In 2007, New Jersey adopted the Uniform Premarital and Pre-Civil Union Agreement Act which required that prenuptial agreements made after February 19, 2007 be in writing. There are certain other contracts which must be in writing that derive that requirement from sources outside the Statute of Frauds. Examples include contracts for the sale of goods governed by New Jersey’s Uniform Commercial Code; contracts for the sale of securities; agreements to give a security interest; the New Jersey Consumer Fraud Act requires that agreements in certain industries such as health clubs, home improvement contractors, automobile sales, and employment agencies, be in writing. These, however, are subjects for another blog. 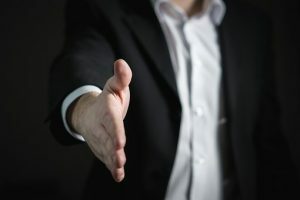 Our business attorneys represent businesses and people and defend their rights in contract disputes, whether the are written or oral – although we always recommend written contracts, and also recommend that they should always be reviewed by an attorney before signing them. Regardless of whether it is a subject matter covered by the New Jersey Statute of Frauds, having a written contract which is reviewed by an attorney is always – always – the safest course of action. If you have any contract issues, call (973) 890-0004 or email us to set up a consultation with one of our attorneys. We can help.